We kick off 2013 with the New Year's Countdown and Fireworks and an array of events to welcome the new year on January 1st. Also the Winterfest celebrations will be wrapping up on this day, so you need to hurry! And it won't be much longer and the preparations for the most anticipated event of the year will start, Chinese New Year 2013 will be on February 10, 2013, mark your calendars! Wave goodbye to 2012 and welcome the new year with a bang! 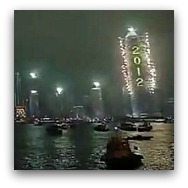 Hong Kong's New Year's Countdown to 2013 promises to be the biggest ever. 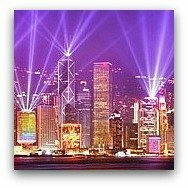 This year's limelight will be on the Hong Kong Convention and Exhibition Centre. The fireworks display will last eight minutes, the longest in the history of the event and will be launched from both the skyscrapers and the harbour barges, so the scope and range of view will be much larger than in previous years. But still, choosing a place to view will be important. Where? Many vantage points, preferably where you have the Convention Centre in view. 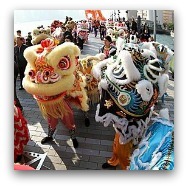 Dragon Lion Dance Extravaganza - January 1, 2013, 2:00 p.m. - 4:30 p.m. Truly a feast for the eyes! 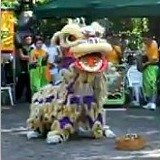 This year's event will attempt to set two new Guinness World Records like they did in 2011 for the largest Lion and Dragon Dance display which featured 1,111 Dragons and Lions. 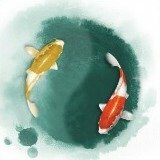 For 2013, this world-class act will be featuring over 800 lucky animals, including five traditional celestial guardians: the Golden Dragon, the Southern Lion, the Northern Lion, the Chinese Unicorn and the Pixiu, a Winged Dragon. In addition, there will be 50 performing lions dancing on bamboo poles, a real acrobatic delight and sure to amaze young and old. A truly "do not miss" event. 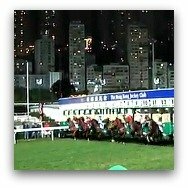 This is one of eight "Magnificent Race Days" being waged in the Sha Tin Race Course during the racing calendar. 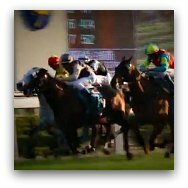 This New Year's Day Race is full of excitement with the Chinese Club Challenge Cup a HKG3 race, being the highlight of the event. On its 41st year, this is Hong Kong's foremost event dedicated to the performing arts. 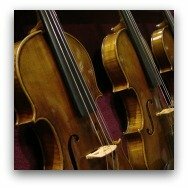 All genres of the performing arts are well represented including concerts, ballets, operas, drama by leading international orchestras, performers and artists in world-class venues. These are some popular ongoing events that are worth checking out, specially since they are FREE!